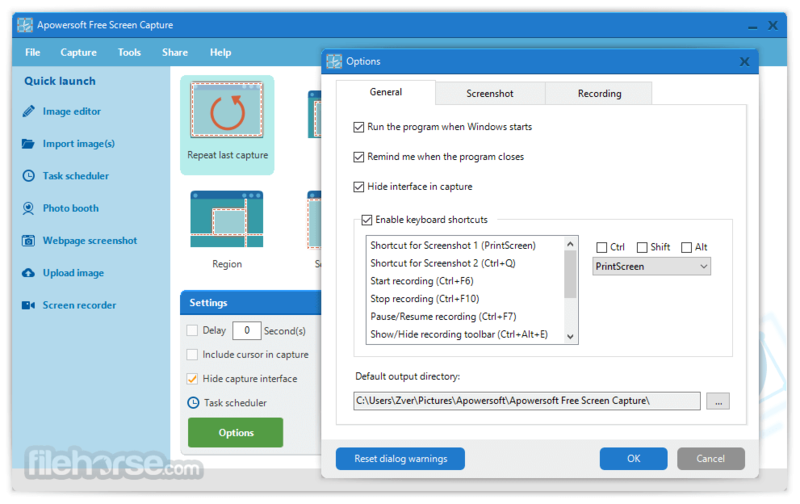 Apowersoft Free Screen Capture is a capable tool which has successfully integrated screenshot capture for Windows PC, image editor, file uploader and other useful functions for you to explore. If you do any kind of design, tutorial, review, website tests or other digital things, there's always a need in creating screenshot and video to express your idea in intuitive ways. In such case, the Apowersoft Free Screen Capture is your best choice to handle these design-related tasks without the hassle of learning complicate skills or buying programs. This tool has perfectly integrated screen capture, editing, sharing and others while all of them are free of charge and registration. 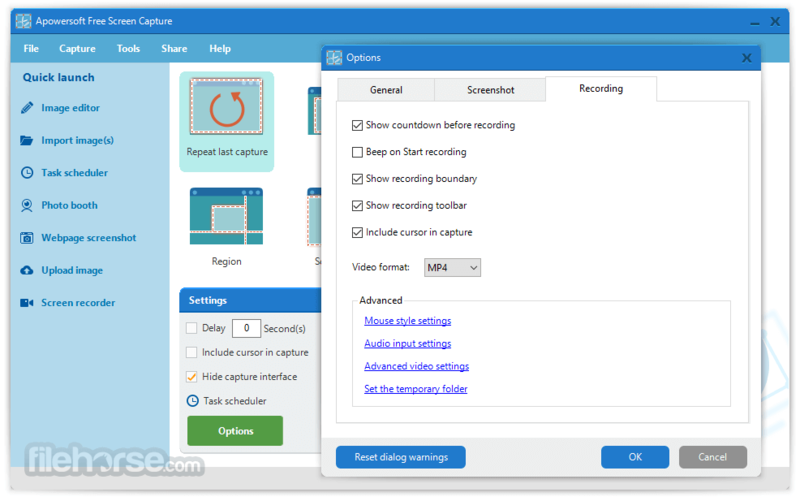 Apowersoft Free Screen Capture features a clear starter interface, letting you make a simple click to begin with the screen capture. It also enables you to use shortcuts to activate it when working on full-screen applications like games. The program could handle the entire screen, a spot on the screen or any active window. And once a snapshot is done, the program then prompts rich editing options located on the sidebars. Such options let you perform annotation on your image efficiently and turn it into a more comprehensive one. There're also a handful of special effects like highlight, blur and more. Further, upon the confirmation of your well-edited image, this tool would let you either save it to local directory or upload to free space hosted by the developer. Any users can choose to upload their stuff to the cloud storage with no requirements on registration and payment, which is another value-added feature. There're also extra features like delay in capture, social sharing. The functions as described above are not extremely special, but the fact is that they are all bundled in such a compact and free package. Also, the streamlined interface which comes with smart wizard can let you take control of the whole process within a short while, letting you make even better screenshots. After all, Apowersoft Free Screen Capture is a must-have for people to create impressive screenshots. This free screen capture software does not require Java Applet, but you need to install a launcher if it's the first time you use it. You can then take screenshots without limits afterwards. 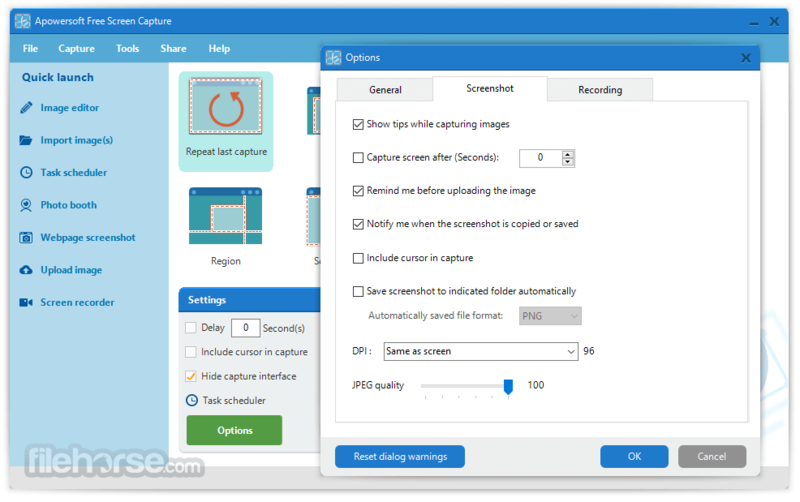 This free screenshot capture tool is a web-based application that works on both Windows and Mac. It allows you to capture anything visible on your screen in high quality. For your annotation convenience, this online screen capture application comes with a quick image editor for you to polish or annotate the screenshot upon its creation. You can add lines, arrows, texts and shapes to the image to highlight certain parts. There is also a blur tool for you to cover sensitive or private information. Another advantage of this screenshot application is that it offers free cloud space to all users for storing any screenshots and images. 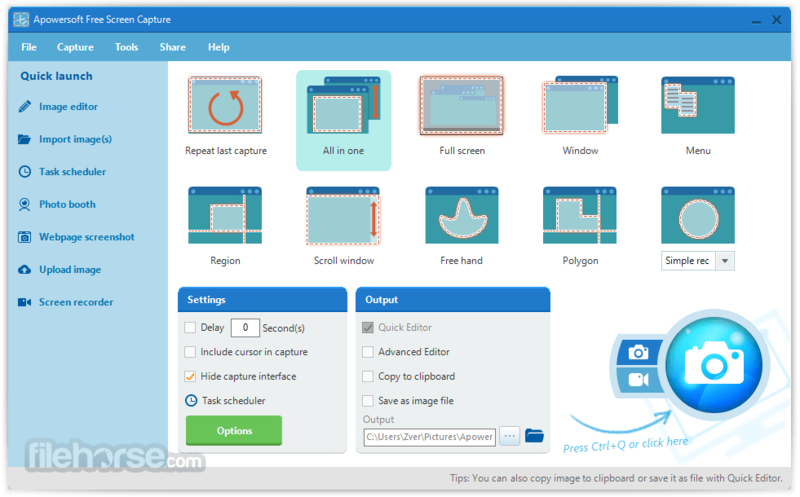 Once you've finished editing the screenshot, you can directly upload it to Screenshot.net, which enables you to save your hard drive storage. When the screenshot is uploaded successfully, you will get links to it so that you can embed the screenshot in forums and blogs. All images hosted on the cloud server are 100% safe. In addition to saving the screenshot to local disk and uploading to free cloud space, this online free screen capture software also enables you to copy the screenshot to the clipboard, email it or share it to popular social networks like Facebook, Twitter, Google+ and Pinterest. Therefore, your followers will see your screenshot immediately.